Frank Humphry was a ship’s steward, who served with the Mercantile Marine Reserve and was drowned in the sinking of H.M.Y. “Iolaire” in Stornoway harbour. Frank Humphry was born at Ashley Cross, Parkstone, Dorset on 4 March 1877, the second son of Adolphus Humphry (1831–1895) and his third wife. Adolphus Humphry was born at Ilminster, Somerset in 1831 and married his first wife, Susannah Short at Brentford, Middlesex in 1856, with whom he had two children, Samuel Hall Humphry (born 1857) and William Henry Humphry (born 1858}. Following Susannah’s death (aged 27) in December 1861, Adolphus re-married, to Emma Martlew at Brighton in March 1863. Emma bore two children, Henry (born December 1867) and Susan (born December 1870). Sadly, Susan died in July 1871, and Emma died early the following year (aged 34). On 8 April 1873 at Marylebone in London, Adolphus married for the third time, to 33-year old widow Elizabeth Warden née Hutchson (1839–1902), from Dundee in Scotland. Elizabeth, from Monifieth, near Dundee, had married Richard Warden in December 1865, but he died the following August, shortly before the birth of their son, Richard Melville Warden. It would appear that Elizabeth then “abandoned” her son, as in 1871 she was working in Marylebone as a nurse to the family of William Speed, a barrister, while 4-year old Richard was living with his aunt and grandfather in Scotland. The couple’s first child, Archer (named after Elizabeth’s mother) was born in February 1875, followed by Frank in March 1877, Edith in July 1879 and Adolphus in April 1881. Edith died in July 1884, aged 5 – thus, both the daughters of Adolphus died young, although his six sons all survived into adulthood. Frank was baptised at St Peter’s Church, Parkstone on 6 May 1877 by the Revd. Ernest E Dugmore. In the 1861 and 1871 censuses, Adolphus gave his occupation as “coachman”, but in 1881, he was the licensee of the Britannia Inn at Britannia Road, Parkstone. Ten years later, he was the licensee at the Retreat Hotel in Kinson Road, Parkstone. By the time of the 1901 census, Frank had left home and, aged 23, he was employed as a porter at the Crown Hotel in Lyndhurst in the New Forest. The following year, he was appointed executor to his mother’s estate, when his occupation was given as “ship’s storekeeper” and was now living in Southampton. On 13 May 1917, at St Luke’s Church in Onslow Road, Southampton, Frank (aged 40) married 45-year old widow, Annie Rosalind Boggeln, née Dadswell. Annie had been born at Tunbridge Wells, Kent on 19 November 1871 and was raised by her single mother and her grandparents. She married James Boggeln, a newspaper proprietor, at Brighton in 1892; there were no children to the marriage and James died in Southampton on 11 April 1915, aged 53. At the time of his death, Frank’s home address was 188 Derby Road, Southampton. On 9 September 1902, Frank’s brother, Samuel Hall Humphry (who had succeeded his father as the licensee of the Britannia Hotel) was installed as Worshipful Master of New Forest Lodge No 319 at Lymington. The installing master was John William Boggeln, a police inspector, the brother of Frank’s future wife’s then husband. The two worshipful brethren had been initiated together on 11 May 1897 and had progressed very rapidly together through the offices of the lodge. Frank was initiated into New Forest Lodge on 23 July 1903, aged 26, when his brother was in the chair of King Solomon. He was passed to the Second Degree on 11 April 1905 and raised to the degree of a Master Mason on 13 June 1905. There are very few details available about Frank’s early career in the Merchant Navy. In July 1915, he was engaged on the SS Kenilworth Castle as an ‘assistant barman’, at which time she was in use as a troopship. By the end of the war, Frank was serving on His Majesty’s Yacht Iolaire as a steward. 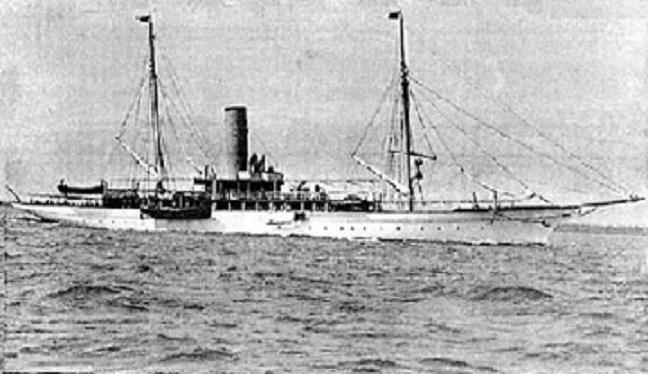 Built in 1881 as the 415 ton luxury yacht Amalthaea, she was commandeered in March 1915. She was used by the Royal Navy in anti-submarine and patrol work based at Stornoway on the Isle of Lewis, in the Outer Hebrides, and was renamed the Iolaire – Gaelic for “Sea Eagle” – in 1918. 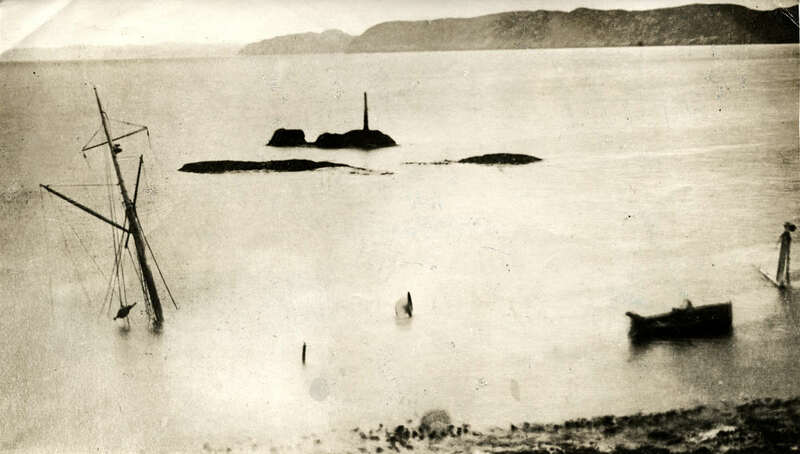 Six weeks after the armistice, on New Year’s Eve 1918, hundreds of soldiers and sailors from the Scottish islands were returning home via Kyle of Lochalsh. By early evening, close on 400 servicemen were waiting shipment across to the islands. As the regular mail ship was already fully loaded, the Iolaire was pressed into service. Despite the objections of the Master, Commander Richard Mason, that she only had two lifeboats and lifejackets for 80, and that there was only accommodation for about 100, the port commander ordered over 250 man aboard. The Iolaire, heavily overloaded, sailed at 7:30 pm and reached the entrance to the harbour at Stornoway just after midnight. Unfortunately, Commander Mason had never entered the harbour in the dark and had missed the correct course. The Iolaire turned but as she approached the mouth of the harbour she struck rocks known as the Beasts of Holm. The ship keeled over immediately and most passengers were thrown into the freezing water, many of whom quickly drowned. Of the 283 crew and servicemen on board, only 82 survived, making the loss of the Iolaire one of the worst maritime disasters in United Kingdom waters during the 20th century. Only 7 of the 27 crew members survived. Frank Humphry was one of the 20 crew members who drowned in the early hours of New Year’s Day 1919. His body was recovered from the water and he was buried at Southampton Old Cemetery (Plot 144 O154). At the inquest on 31 March 1919, it was recorded that he had died at 1:55 am and that the cause of death was “suffocation due to submersion”. Frank’s widow, Annie, never re-married and died in Southampton in 1946. 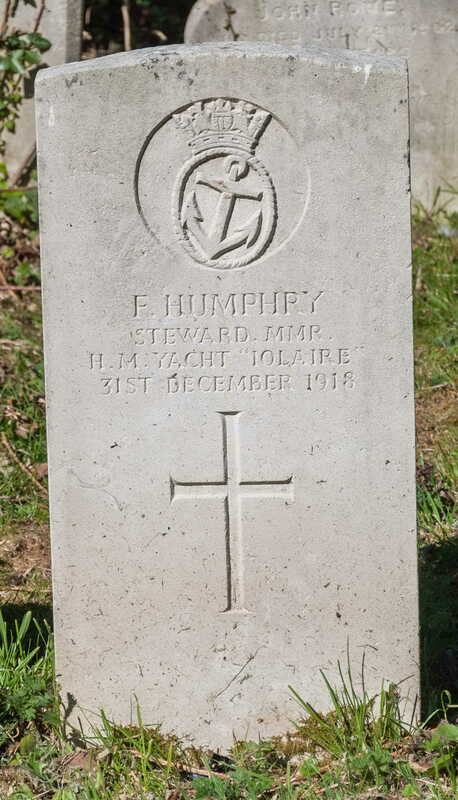 CWGC Casualty Details: Humphry, F.